My apologies that is has been so long. 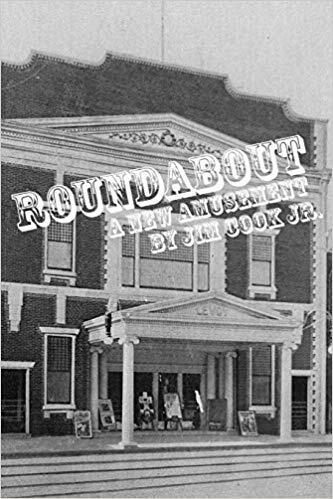 I've since graduated from Rowan and now I'm working for The NEWS OF CUMBERLAND COUNTY. But I've broken my silence because of a recent unfortunate happening in Millville. 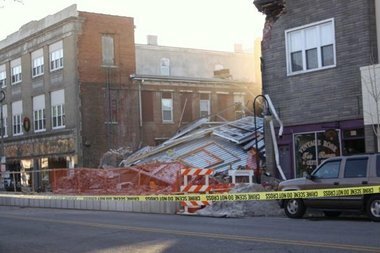 As many of you know, the Levoy Theater on the 100 block of High Street collapsed, sending years of hard work from a dedicated team into a pile of rubble. But they're going to continue building. A week later, crews went back to the theater and began taking construction measures for safety. 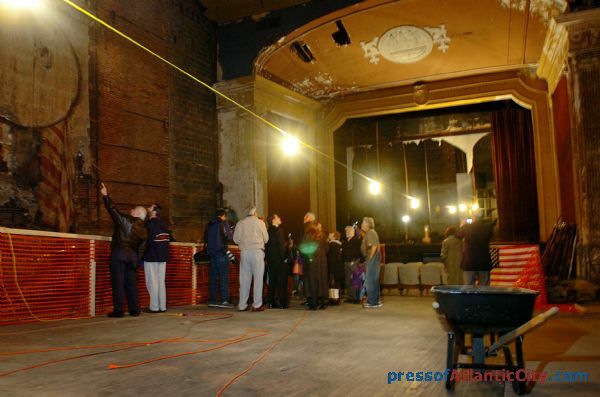 Beginning Monday morning into Tuesday, a crane was brought back to the theater to remove two bar joists and an I-beam that could have caused further damage. The operation taken this week was completely successful and the board is waiting for OSHA and the inspectors to finish their investigations before they move back into the site and resume their construction. 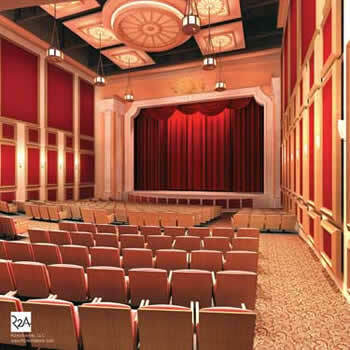 It was sad to see the theater shell go to rubble, but it's exciting to hear that they will continue to work on the project. "All we've really lost is time," said board chairwoman Lauren Van Embden. This is a good sign. 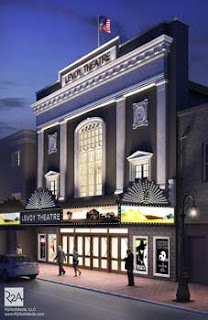 We will see this theater back in no time. Theater facade after collapse on Jan. 3, 2011. The building to the right will be demolished in the coming weeks. Workers of Garton Rigging in Vineland remove pieces of the roof decking to get to the beams that need removing Monday. Materials are removed from the remaining two-thirds of the theater structure for safety measures. 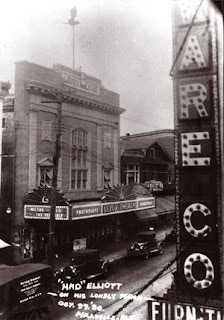 Exterior of the Levoy in 1930 - notice the similarity to the new one in the marquee. 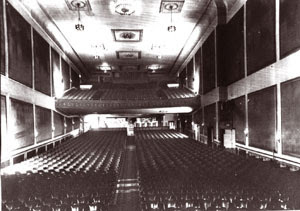 Interior of the Levoy Theater as of 1927. This picture was taken from the stage.